KTuner for 08-12 Accord V6. Includes reflash maps covering up to Intake, RV6 PCDs, and Exhaust. Tuned reflashes recommend 91+ octane. Tuned at 1100ft on 91 octane. 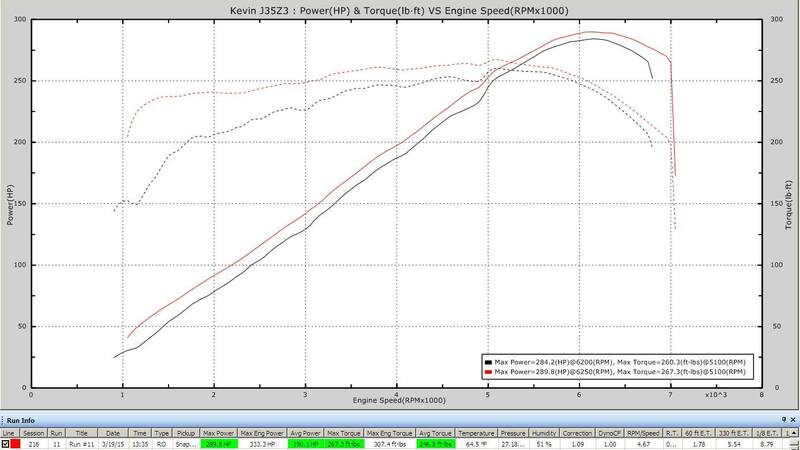 Bottom red dashed line is factory with factory tune. Only mod is Takeda Intake. Best baseline run. Middle blue dashed line is with KTuner Tuning. Only mod is Takeda Intake. 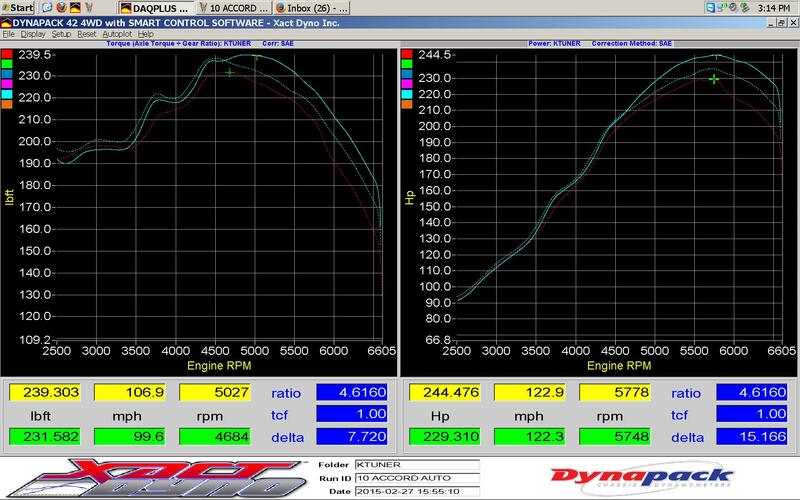 Top solid blue line is intake and PCDs with KTuner tune. Intake + PCDs + Tune. 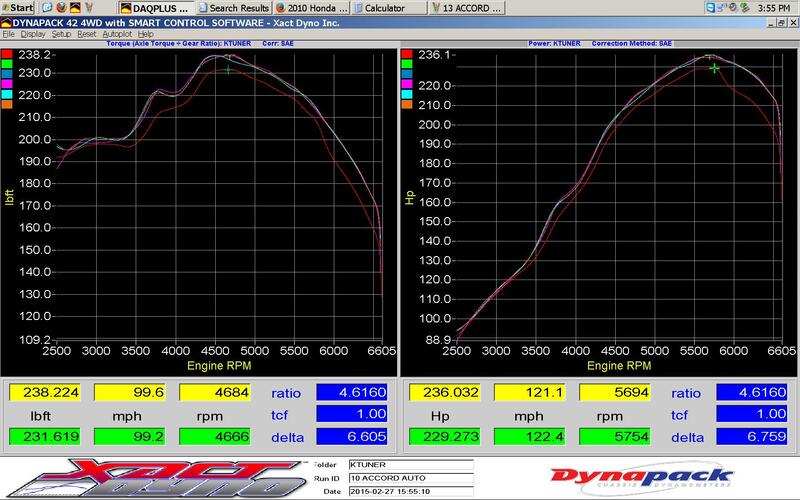 The graph below shows factory tune to final tune. Only mod is Takeda Intake.